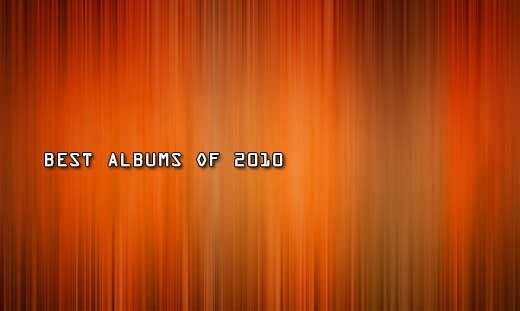 There were a lot of good albums in 2010 and of course, don't be surprised if this list primarily consists of a electronic music (that shouldn't be a surprise). I like a lot of types of music... However, these are the top 5 albums that caught my interest the most this past year. 80's disco dance cheese. Grum's Heartbeats is a pretty fun listen from beginning to end. If you're into Phoenix and indie-dance-rock type of music then Delphic's Acolyte is probably your best bet of 2010. This album is also produced by electronic DJ/producer, Ewan Pearson. A surprising new sound from Groove Armada by trying to keep their style fresh. Collaborations from Bryan Ferry, Fenech Soler and Jess Larrabee. A really good album for you Dubstep fans, or listeners that want to get into Dubstep. Of course... The electronic pioneers change up their sound with co–productions by Mark Knight, D. Ramirez, Sharam, Paul van Dyk, and High Contrast, make for a very good album.